if you're looking for a Zhangjiajie national forest park tour, then this tour is for you. 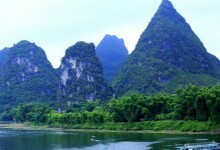 You'll see the most beautiful Mountains, lakes and caves during this 3 days Zhangjiajie tour. A lot of tourists who have been to Zhangjiajie were totally amazed by it's breath-taking scenary and even make a comeback tour for it. Because every time you go there, you'll see something different. 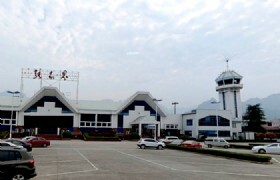 Pick up at Zhangjiajie Airport, and then transfer to hotel. 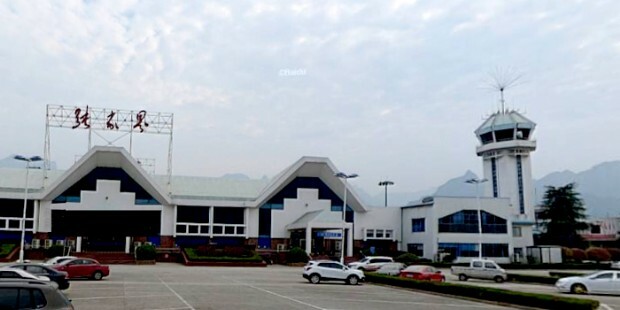 Zhangjiajie Lotus International Airport: Zhangjiajie Lotus International Airport (IATA Code: DYG, ICAO Code: ZGDY) (once called Dayong airport, Zhangjiajie Hehua Airport ) is located in Hunan Province Zhangjiajie . Today, you will go to Grand canyon, silk shop and Baofeng lake. Zhangjiajie National Forest Park: The Zhangjiajie National Forest Park is a unique national forest park located in Zhangjiajie City in northern Hunan Province in the People's Republic of China. 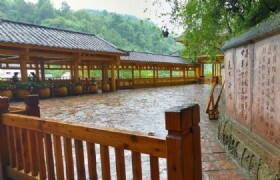 It is one of several national parks within the Wulingyuan Scenic Area. Grand Canyon: There are so many waterfalls at Grand Canyon, it just everywhere. Green Trees and fresh air makes your visit here cool and comfortable, and the stream was filled with a layer of mist, just like a paradise, makes your trouble go away. Baofeng Lake: Baofeng Lake Scenic Area, part of the larger Wulingyuan Scenic Area – specifically, the Suoxi Valley subsection – of Hunan Province that was listed as a World Heritage site in 1992, is situated on and around Mount Baofeng in the northern part of the province, not far from the metropolis of Changde. 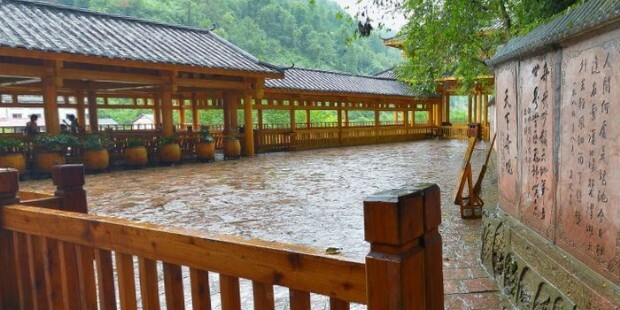 Baofeng Lake Scenic Area comprises some 275 hectares, and consists of Baofeng Lake and Yingwo Stockade Village. Today, you will go to visit the Yellow Dagon Cave, Junshen Gallery, then transfer to airport to depart. Yellow Dragon Cave: Huanglong Cave is a karst cave located near the Wulingyuan district of Zhangjiajie City, Hunan, People's Republic of China and a national 4A rated scenic area. Junsheng Sandstone Painting Gallery: Reputed to be a form of ”green painting” and ”environmental protection painting” in art circles, Junsheng Sandstone Painting is regarded as ”the special pride of Hunan”. It is highly rated and prized by art collectors. In fact, it is considered the precious gift that the Hunan Provincial Government present to all guests at home and abroad. * Prices may vary according to your travel time and are higher in the high season, e.g. Labor’s Day (Apr 29-May 3, 2013&2014), China National Day Holiday (Sep 29-Oct 8, 2014), and Chinese Spring Festival (Jan 30-Feb5, 2014).